“Gifts of the Spirit are not the point, son. I AM the point. You have known this but many do not. It’s for this reason that I’m about to unlock the gifts of My Spirit that people were born with. Not only for those who know and love Me but especially for those who do not know Me or do not love Me. There will be new gifts. I want everyone to know that this is an entirely new move of Mine. The new gifts will be a sign of that. Some will move at the speed of thought and some will fly. All will know I’m here. An earthly father may remove something being used improperly by his children, but I’m not that way. The gifts were meant to be used in love and NOT meant to be put above Me. They were always signs that point to Me yet My children have sought them instead of Me. And so I am unlocking them in both the righteous and the wicked. The lost and the found will have them. All will have them in great abundance. When everyone is moving in powerful signs and wonders, nobody will see a need to chase them. For believers, gifts will grow in power and scope. Walking in power and authority will be like breathing for The Body of Christ. For unbelievers, they will be shocked by sudden encounters caused by their gifts. They will have questions for you and your siblings. Welcome them with open arms. Joel 2:28 “And it shall come to pass afterward That I will pour out My Spirit on all flesh; Your sons and your daughters shall prophesy, Your old men shall dream dreams, Your young men shall see visions. Those are the church. Verse 28 is in reference to humanity as a whole but specifically non believers. Verse 29 is about believers or those who serve God. God doesn’t usually “speak” to me. Now, I didn’t hear and audible voice but I surely got a bunch of obvious text. I heard Him quite clearly in my spirit and was overcome with His presence. I don’t say that to convince you. I say that to show why I was convinced it was Him and why I felt the need to share it. He normally talks to me through images or vivid daydreams, impressions, ideas, etc… I’ve learned to know when He’s entered into a conversation with me. But this was different somehow. Off I went to Rutters in Stewartstown, PA, at 3:00 am. “You don’t believe me?” I said. We have been given permission to love people radically with supernatural abilities. Now it’s going to be even easier. Get out there and love in ways you always hoped were possible but have never seen. Newest page on my Mission Possible! site is now up. 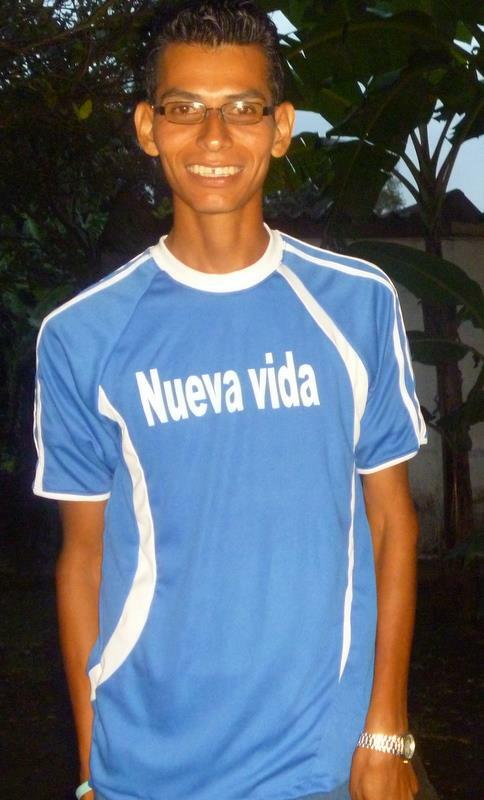 Nueva Vida Christian Center is a branch of Mateo 5:16, the ministry I’m headed back to Nicaragua to be with soon. I was just looking at these pics that have come from IRIS Ministries in Mozambique. IRIS is the ministry of Heidi and Rolland Baker. Check out this latest photo gallery! Then take a look around their site and see just what all they’ve been up to! A link for the newest newsletter also at the top of the gallery page! Be Blessed.. I LOVE the Bakers! One of the women reading the Word in her own language!